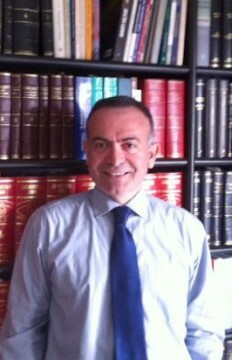 George Assimakis became a Partner in Avramopoulos & Partners Law Firm in 2003 and he is mainly active in corporate and employment law matters. Before joining Avramopoulos & Partners Law Firm, he held various legal government positions both at a national and European level. In 1991, he was appointed legal expert on European Law at the Ministry of Labour and Social Security. He also served as the national representative of the Ministry of Labour and Social Insurance and as President of all the European Union Member States on the Committee of Human Resources at the 91st International Labour Organization (I.L.O.) Conference in Geneva. In addition, from 1994 to 1995, he served as Special Advisor to the Deputy Minister of Industry and he was a member of the legislative committee on Modernization of the Industrial Policy. Additionally, from 1990 to present, George has been the legal counsel of the Italian Consulate in Athens and in 2007 he was awarded Cavaliere and was presented with the ‘Ordine Della Stella Della Solidarieta’ by the Italian government in recognition of his legal services.